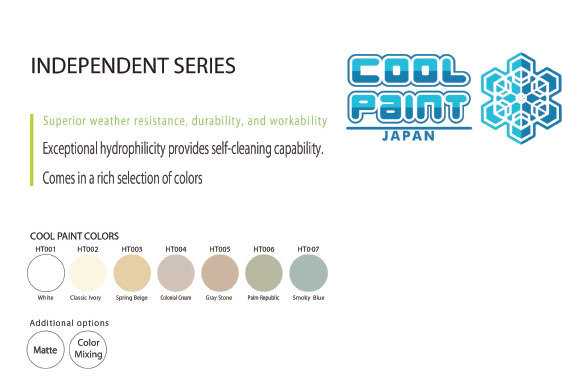 COOL PAINT is an environmentally friendly hydrophilic insulating paint that functions as a thermal barrier. The base resin is blended with acrylic/silicone to provide excellet weather resistance. By using special pigments, COOL PAINT efficiently reflects sunlight in the infrared region (380-2,500 nm) to limit any rise in surface temperature. 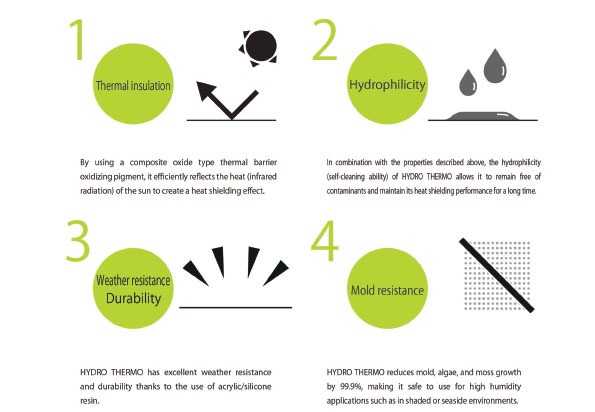 Its hydrophilicity means it will self-clean when exposed to rainwater, inhibiting the adhesion of dirt and enabling long-lasting thermal-insulation performance.